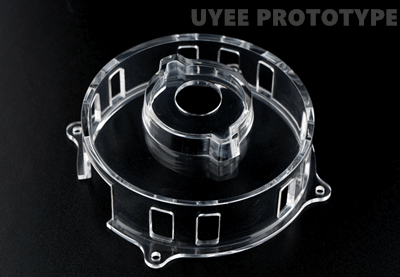 UYEE is full service engineering and rapid manufacturing company which specializing in short run production and 3D prototype service. We are a vertically integrated firm which allows us to develop prototypes and embark on manufacturing seamlessly. Bridging the gap between the idea stage and a product ready for store shelves is a specialty of ours. We view ourselves as partners with our customers, our employees. We aim to become an asset to our clients by capitalizing on our years of experience and knowledge in the new product development sector of the consumer goods industry. Your success is our success. We have invested heavily in technology to produce highly accurate and quality parts. We can deliver a finished product within days and not weeks from the conceptual stage. Engineering is our specialty, speed is what sets us apart. When creating a new prototype part you have in mind the necessary function of that prototype part and a concept of what the part will look like in order to accomplish the function. However, there are many more considerations outside of function in designing a prototype metal part. We find that production economies are high ranking considerations in the metal parts prototype process. Usually UYEE offers metal prototype parts in CNC machining and sheet metal way. To complete the project we can grind, weld, and assemble your prototype, under the careful supervision of our team of experts. We can even perform fast turnarounds if your project requires it. 1) Plastic prototype machining: Speed comes from our ability to take customer part CAD data, We prefer IGS,STEP ,or X-t format, and convert it into CNC cutter path generation to produce a pattern. Our multi-axis machining centers and programmable coordinate measuring machines make all this possible. Some plastic prototypes need to be polished after machined, such as ABS, Polycarbonate. This option is useful for low-volume runs and is typically low cost and high quality. UYEE also provides model making services with both functional and appearance model to customers .the finish can be painted ,anodized ,powder coating ,chrome plated, engraved, silk screen etc. Our Model Shop can help you save a substantial amount of money. Imagine the new markets you could enter through smart rapid prototyping services in all of your orders. 2)Rapid Tooling : when customer requires a short run production, we can also it to offer through by a soft tooling and hard tooling, it will depends on the quantities requirements, 10-50K is no problem. It can help customer to save much cost and time. There are many plastic materials for choice. Choosing the right prototyping method can help cut time and costs for your project. We offer several options for prototyping both precision plastic parts and prototypes. Our state of the art technology is unmatched. We have invested heavily in order to interact with you seamlessly. We even take it a step further! Your feedback gives us the opportunity to make changes in real time. You will see your suggestions being implemented into the design as we progress. You are in the drivers’ seat the entire time. It’s all part of our commitment in developing your vision, in our mind, Prototype making companies should do like this. Our team of Industrial, Mechanical and automotive Engineers are here to meet your demands. Regardless of the idea, we have you covered. Our combined years of experience allow us the flexibility to overcome the challenges your product has to offer. As a professional Rapid prototyping company, our goal is make you satisfaction with your project, and get a wonderful experience to work with our team. Start your product development cycle off right with small and large-batch prototyping manufacturing that turn your designs in standard industry software into parts you can test before your production begins. By selecting UYEE Rapid Tooling – A leader in rapid prototyping China – you’re ensuring quality products that meet your specifications. Our Idea Factory guides our customers from new product development, prototype model, through short run production, to close tolerance tooling and component assembly. We are a reputed rapid manufacturing factory in CNC machining and small batch production. Our rapid prototyping services enable clients to get imperative feedback, revise, and bring better products to market faster than ever before. We continue to grow and invest in the automation and other manufacturing methods that your programs demand. We offer dedicated custom centers for volume manufacturing and continue to pursue the enhanced capabilities to serve you better. If you want to learn more about how Rapid prototyping company can help you better test your products or have questions on the best prototype manufacturing methods to use, contact us today.